Case Blue (German: Fall Blau) was the German Armed Forces' name for its plan for the 1942 strategic summer offensive in southern Russia between 28 June and 24 November 1942, during World War II. The operation was a continuation of the previous year's Operation Barbarossa, intended to knock the Soviet Union out of the war. It involved a two-pronged attack: one from the Axis right flank against the oil fields of Baku, known as Operation Edelweiss, and one from the left flank in the direction of Stalingrad along the Volga River, known as Operation Fischreiher. Army Group South (Heeresgruppe Süd) of the German Army was divided into Army Groups A and B (Heeresgruppe A and B). Army Group A was tasked with crossing the Caucasus mountains to reach the Baku oil fields, while Army Group B protected its flanks along the Volga. Supported by 2,035 Luftwaffe aircraft and 1,934 tanks and assault guns, the 1,370,287-man Army Group South attacked on 28 June, advancing 48 kilometers on the first day and easily brushing aside the 1,715,000 Red Army troops opposite, who falsely expected a German offensive on Moscow even after Blau commenced. The Soviet collapse in the south allowed the Germans to capture the western part of Voronezh on 6 July and reach and cross the Don river near Stalingrad on 26 July. Army Group B's approach toward Stalingrad slowed in late July and early August owing to constant counterattacks by newly deployed Red Army reserves and overstretched German supply lines. The Germans defeated the Soviets in the Battle of Kalach and the combat shifted to the city itself in late August. Nonstop Luftwaffe airstrikes, artillery fire and street-to-street combat completely destroyed the city and inflicted heavy casualties on the opposing forces. After three months of battle, the Germans controlled 90% of Stalingrad on 19 November. In the south, Army Group A captured Rostov on 23 July and swept south from the Don to the Caucasus, capturing the demolished oilfields at Maikop on 9 August and Elista on 13 August near the Caspian Sea coast. Heavy Soviet resistance and the long distances from Axis sources of supply reduced the Axis offensive to local advances only and prevented the Germans from completing their strategic objective of capturing the main Caucasus oilfield at Baku. Luftwaffe bombers destroyed the oilfields at Grozny but attacks on Baku were prevented by the insufficient range of the German fighters. The possibility that the Germans would continue to the south and east, and possibly link up with Japanese forces (then advancing in Burma) in India, was of great concern to the Allies. However, the Red Army defeated the Germans at Stalingrad, following Operations Uranus and Little Saturn. This defeat forced the Axis to retreat from the Caucasus. Only the Kuban region remained tentatively occupied by Axis troops. On 22 June 1941 the Wehrmacht had launched Operation Barbarossa with the intention of defeating the Soviets in a Blitzkrieg lasting only months. The Axis offensive had met with initial success and the Red Army had suffered some major defeats before halting the Axis units just short of Moscow (November/December 1941). Although the Germans had captured vast areas of land and important industrial centers, the Soviet Union remained in the war. In the winter of 1941–42 the Soviets struck back in a series of successful counteroffensives, pushing back the German threat to Moscow. Despite these setbacks, Hitler wanted an offensive solution, for which he required the oil resources of the Caucasus. By February 1942 the German Army High Command (OKH) had begun to develop plans for a follow-up campaign to the aborted Barbarossa offensive – with the Caucasus as its principal objective. 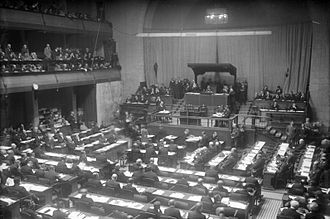 On 5 April 1942, Hitler laid out the elements of the plan now known as "Case Blue" (Fall Blau) in Führer Directive No. 41. The directive stated the main goals of the 1942 summer campaign on Germany's Eastern Front: holding attacks for Army Group (AG) Centre, the capture of Leningrad and the link-up with Finland for AG North, and the capture of the Caucasus region for Army Group South. 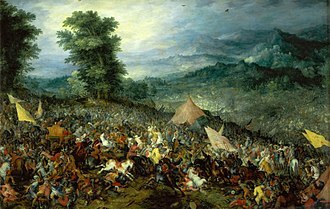 The main focus was to be the capture of the Caucasus region. The Caucasus, a large, culturally diverse region traversed by its eponymous mountains, is bounded by the Black Sea to the west and the Caspian Sea to the east. The region north of the mountains was a production center for grain, cotton and heavy farm machinery, while its two main oilfields, at Maykop, near the Black Sea, and Grozny, about halfway between the Black and the Caspian Seas, produced about 10 percent of all Soviet oil. South of the mountains lay Transcaucasia, comprising Georgia, Azerbaijan and Armenia. This heavily industrialized and densely populated area contained some of the largest oilfields in the world. Baku, the capital of Azerbaijan, was one of the richest, producing 80 percent of the Soviet Union's oil—about 24 million tons in 1942 alone. 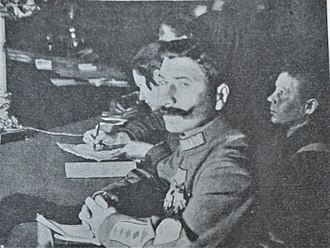 Blau II: Sixth Army, commanded by Friedrich Paulus, would attack from Kharkov and move in parallel with Fourth Panzer Army, to reach the Volga at Stalingrad (whose capture was not deemed necessary). Joseph Stalin, however, believed it to be a German ruse, remaining convinced that the primary German strategic goal in 1942 would be Moscow, in part due to Operation Kremlin (Fall Kreml), a German deception plan aimed at the city. As a result, the majority of Red Army troops were deployed there, although the direction from which the Case Blue offensive would come was still defended by the Bryansk, Southwestern, Southern and North Caucasian Fronts. With about 1 million soldiers at the front line and another 1.7 million in reserve armies, their forces accounted for about one quarter of all Soviet troops. Following the disastrous start of Case Blue for the Soviets, they reorganised their frontlines several times. Over the course of the campaign, the Soviets also fielded the Voronezh Front, Don Front, Stalingrad Front, Transcaucasian Front, and the Caucasian Front, though not all existed at the same time. Close air support from the Luftwaffe also played an important role in this early success. It contained the Red Air Force, through air superiority operations, and provided interdiction through attacks on airfields and Soviet defence lines. At times, the German air arm acted as a spearhead rather than a support force, ranging on ahead of the tanks and infantry to disrupt and destroy defensive positions. As many as 100 German aircraft were concentrated on a single Soviet division in the path of the spearhead during this phase. General Kazakov, the Bryansk Front's chief of staff, noted the strength and effectiveness of the Axis aviation. 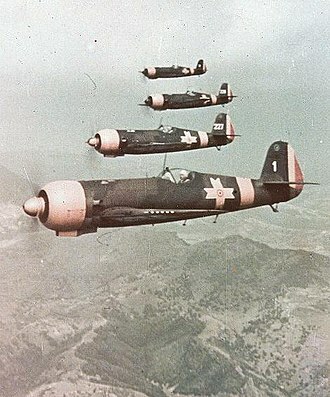 Within 26 days, the Soviets lost 783 aircraft from the 2nd, 4th, 5th and 8th Air Armies, compared to a German total of 175. By 5 July, forward elements of Fourth Panzer Army had reached the Don River near Voronezh and became embroiled in the battle to capture the city. Stalin and the Soviet command still expected the main German thrust in the north against Moscow, and believed the Germans would turn north after Voronezh to threaten the capital. As a result, the Soviets rushed reinforcements into the town to hold it at all costs and counterattacked the Germans' northern flank in an effort to cut off the German spearheads. 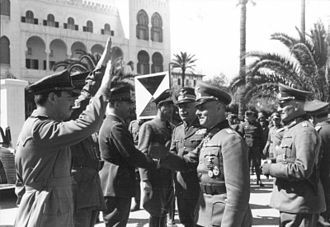 5th Tank Army, commanded by Major General A.I. 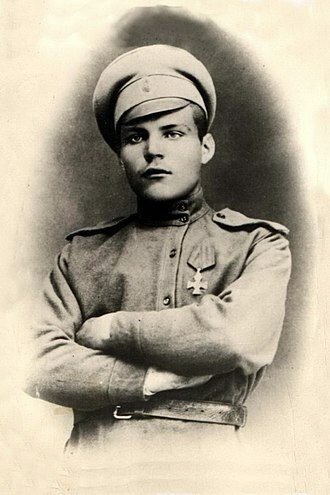 Liziukov, managed to achieve some minor successes when it began its attack on 6 July, but was forced back to its starting positions by 15 July, losing about half of its tanks in the process. Although the battle was a success, Hitler and von Bock, commander of Army Group South, argued over the next steps in the operation. 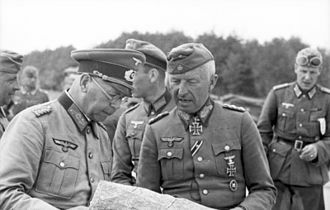 The heated debate, and continuing Soviet counterattacks, which tied down Fourth Panzer Army until 13 July, caused Hitler to lose his temper and dismiss von Bock. 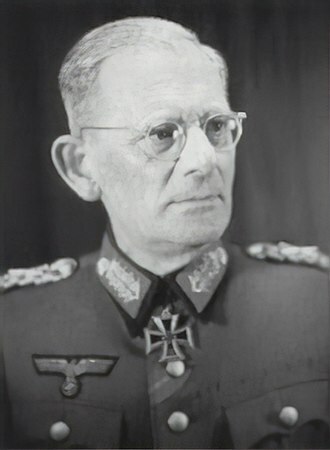 As part of the second phase of the operation, on 9 July, Army Group South was split into Army Group A and Army Group B, with Wilhelm List appointed as commander of Army Group A in place of von Bock. 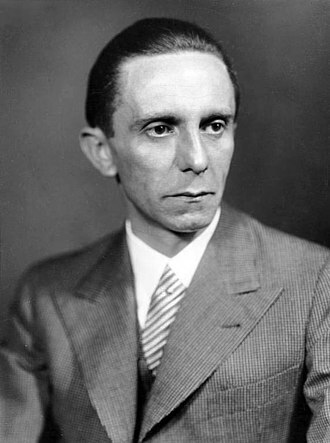 There is no evidence Hitler was opposed by, or received complaints from Franz Halder, Chief of the General Staff, or anyone else, about the directive until August 1942. The new directive created enormous logistical difficulties, with Hitler expecting both Army Groups to advance along different routes. Logistics lines were already at breaking point with ammunition and fuel shortages most apparent and it would be impossible to advance using the conservative supply rates he demanded. The divergence of the Army Groups would also open a dangerous gap between the Armies, which could be exploited by the Soviets. The Italian Alpine Corps, of the Italian Army in the Soviet Union, did not arrive in the Caucasus Mountains with Army Group A, instead remaining with Sixth Army. Army Group A was expected to operate in mountain terrain with only three mountain divisions and two infantry divisions unsuited to the task. After crossing the Don on 25 July, Army Group A fanned out on a 200 km (120 mi) front from the Sea of Azov to Zymlianskaya. The German Seventeenth Army, along with elements of the Eleventh Army and the Romanian Third Army, manoeuvred west towards the east coast of the Black Sea, while the First Panzer Army attacked to the south-east. The Seventeenth Army made a slow advance but the First Panzer Army had freedom of action. On 29 July the Germans cut the last direct railway between central Russia and the Caucasus, causing considerable panic to Stalin and Stavka, which led to the passing of Order No. 227 "Not a step back!". Salsk was captured on 31 July and Stavropol on 5 August. Although the army group made a quick advance, by 3 August the vanguard comprised only light mobile forces and most of the tanks lagged behind, due to lack of fuel and supply breakdowns, despite the efforts of 4th Air Corps, which flew in supplies around the clock. On 9 August, the First Panzer Army reached Maikop in the foothills of the Caucasus mountains, having advanced more than 480 kilometres (300 mi) in fewer than two weeks. The western oil fields near Maikop were seized in a commando operation from 8–9 August, but the oil fields had been sufficiently destroyed by the Red Army to take about a year to be repaired. Shortly afterwards Pyatigorsk was taken. On 12 August, Krasnodar was captured and German mountain troops hoisted the Nazi flag on the highest mountain of the Caucasus, Mount Elbrus. The length of the German advance created chronic supply difficulties, particularly of petrol; the Black Sea was judged too dangerous and fuel was brought by rail through Rostov or delivered by air, but panzer divisions were sometimes at a standstill for weeks. Even petrol trucks ran out of fuel and oil had to be brought up on camels. With the Soviets often retreating instead of fighting, the number of prisoners fell short of expectations and only 83,000 were taken. As Hitler and OKH began to concentrate on Stalingrad, some of Kleist's mobile forces were diverted. Kleist lost his flak corps and most of the Luftwaffe supporting the southern front, only reconnaissance aircraft being left behind. The Voyenno-Vozdushnye Sily (VVS) brought in about 800 bombers, a third of which were operational. With the transfer of air cover and flak units, Soviet bombers were free to harass the German advance. 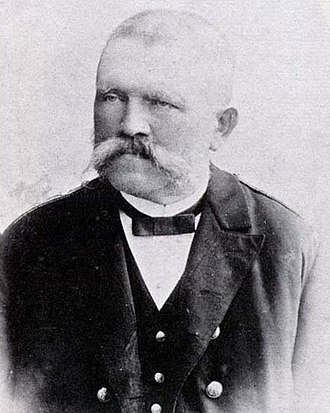 The quality of the Soviet resistance increased, with many of the forces used coming from local levies, who Kleist thought were willing to fight harder for their homeland. German units were especially bogged down by fighting Georgian alpine and mountain troops, who greatly contributed to stalling their advance. The quantity of replacements and supplies the Soviets committed increased, and faced with these difficulties, the Axis advance slowed after 28 August. In the south-east, the Wehrmacht headed in the direction of Grozny and Baku, the other important petroleum centres. More installations and industrial centres fell into German hands, many intact or only slightly damaged during the Russian retreat. From August–September, the Taman Peninsula and a part of the Novorossiysk naval base were captured. The Germans continued towards Tuapse on the Black Sea coast and in the east Elista was taken on 13 August. In the south, the German advance was stopped north of Grozny, after taking Mozdok on 25 August. 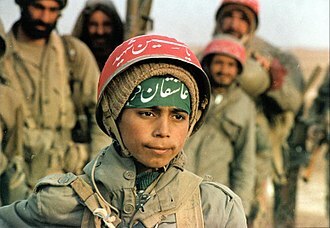 German paratroopers assisted an insurgency in Chechnya, operating behind Soviet lines. German mountain troops failed to secure the Black Sea ports and the advance fell short of Grozny as supply difficulties arose once more. The Soviets dug in the 9th and 44th armies of the North Transcaucasian Front along the rocky Terek River bank in front (north) of the city. The Luftwaffe was unable to support the German army that far forward and Soviet aviation attacked bridges and supply routes virtually unopposed. The Germans crossed the river on 2 September but made only slow progress. 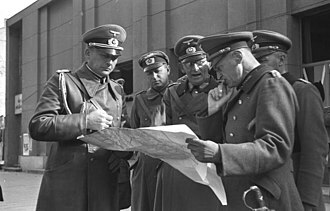 At the beginning of September, Hitler had a major argument with the High Command and specifically List, as he perceived the advance of the German forces as too slow. 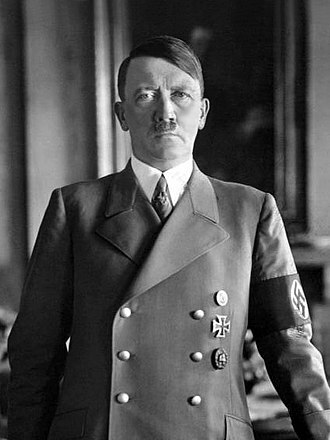 As a result, Hitler dismissed List on 9 September and took direct command of Army Group A himself. Axis ships transported 30,605 men, 13,254 horses and 6,265 motor vehicles across the Black Sea from Romania, from 1–2 September. With the reinforcements, the Germans captured most of the Black Sea naval bases but were held up at Novorossiysk, where the Soviet 47th Army had prepared for a long siege. The port fell on 10 September, after a four-day battle, the final German victory in the Caucasus. It left the heights south of the port and several coast roads in the hands of 47th Soviet Army. Attempts to push out of Novorossiysk were costly failures and the Axis also failed to break the defences on the coastal plain from Novorossiysk to Tuapse, having only the strength to stabilise the line. Romanian Army losses were particularly high and the Romanian 3rd Mountain Division was nearly wiped out by a Soviet counter-attack from 25–26 September. Further east, the Axis enjoyed greater success and on 1 September, the Germans took Khulkhuta (Хулхута́), halfway between Elista and Astrakhan. During August and September, German patrols raided the railway between Kizlyar, north-east of Grozny, marking the farthest advance of the German forces towards the Caspian Sea. In the south, the First Panzer Army advance on Grozny was stopped by the Red Army and the 14th Air Army. By late September, supply failures and the resistance of the Red Army slowed the Axis advance. [[File:Bundesarchiv Bild 146-1970-033-04, Russland, Kaukasus, Gebirgsjäger.jpg|thumb|German Gebirgsjäger operating a 2 cm anti-aircraft gun in the Central Caucasus near Teberda, September 1942]] On 2 November 1942, Romanian mountain troops (Vânători de munte) under the command of Brigadier General Ioan Dumitrache took Nalchik, the capital of Kabardino-Balkaria and also the farthest point of Axis advance into the Caucasus. This victory earned the Romanian General the Knight's Cross of the Iron Cross. Up to 10,000 prisoners were captured in two days, before the advance toward Grozny was stopped again west of the city at Vladikavkaz. On 5 November, Alagir was seized and the Alagir–Beslan–Malgobek line reached became the farthest German advance in the south. By this time, the gap between Army Groups A and B had left them vulnerable to a counter-offensive. Only the German 16th Motorized Infantry Division remained inside the gap, guarding the left flank of the First Panzer Army by securing the road towards Astrakhan. On 22 November, after several Soviet counter-attacks, Hitler appointed Kleist as Group commander with orders to hold his position and prepare to resume the offensive if Stalingrad could be taken. 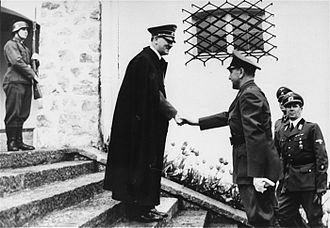 In the first week of October 1942, Hitler came to recognise that the capture of the Caucasus oil fields was unlikely before winter forced the Germans to take up winter positions. Unable to capture them, he was determined to deny them to the enemy and ordered the Oberkommando der Luftwaffe (OKL) to inflict as much damage as possible. On 8 October, Hitler called for the air offensive to be carried out no later than 14 October, as he required air assets for a major effort at Stalingrad. As a result, on 10 October 1942, Fliegerkorps 4 of Luftflotte 4 (4th Air Corps of Fourth Air Fleet) was ordered to send every available bomber against the oilfields at Grozny. Fourth Air Fleet was in poor shape by this time – von Richthofen had begun Case Blue with 323 serviceable bombers out of a total of 480. He was now down to 232, of which only 129 were combat ready. Nevertheless, the force could still deliver damaging blows. Attacks on the refineries reminded von Richthofen of the attacks on Sevastopol several months earlier. Thick black smoke rose from the refineries to a height of 5,500 metres (18,000 ft). 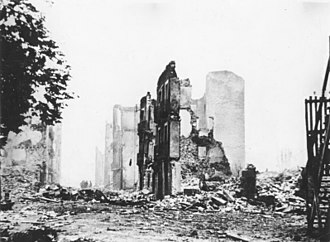 On 12 October, further raids caused even more destruction. 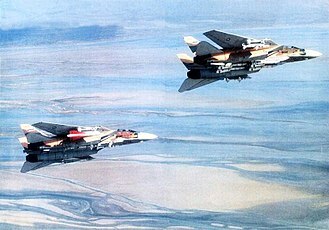 It had been a strategic mistake not to have made greater efforts to hit the oil refineries at Grozny and Baku sooner, as their destruction would have been a greater blow to the Soviets than the loss of Stalingrad, where most of the air fleet was deployed. On 19 November, the Soviet counter-offensive at Stalingrad compelled von Richthofen to once more withdraw his units north to the Volga and bring an end to the aerial offensive. On 23 July, the main body of Army Group B started its advance toward the Don. 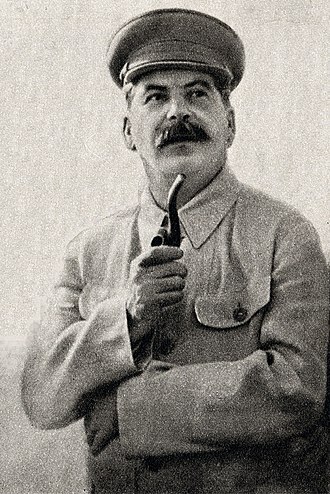 The Germans met with increasing Soviet resistance from the new Stalingrad Front, with the 62nd and 64th Soviet Armies. On 26 July, XIV Panzer Corps broke through and reached the Don, where the new First and Fourth Tank Armies conducted several futile counter-attacks by inexperienced troops. In the south, Fourth Panzer Army made better progress against 51st Army. After crossing the Don, the Germans advanced on Kotelnikovo, reaching the town by 2 August. Soviet resistance convinced Paulus that Sixth Army was not strong enough to cross the Don by itself, so he waited for Fourth Panzer Army to fight its way north. On 4 August, the Germans were still 97 km (60 mi) from Stalingrad. By 10 August, the Red Army had been cleared from most of the west bank of the Don, but Soviet resistance continued in some areas, further delaying Army Group B. The Wehrmacht advance on Stalingrad was also impeded by supply shortages caused by the poor state of Soviet roads. The Luftwaffe sent an ad-hoc force of 300 Ju 52 transport aircraft, enabling the Germans to advance; some bombers were diverted from operations to supply flights under the Stalingrad Transport Region force. The Soviet defence at the Don forced the Germans to commit more and more troops to an increasingly vulnerable front, leaving few reserves to back up the Axis divisions on either flank. The Soviets made several counter-attacks on the northern flank of Army Group B, between Stalingrad and Voronezh. From 20–28 August, the 63rd Army and the 21st Army counter-attacked near Serafimovich, forcing the Italian Eighth Army to fall back. The 1st Guards Army attacked near Novo-Grigoryevskaja, extending its bridgehead. These and several other bridgeheads across the Don, opposed by the Eighth Italian and Second Hungarian armies, were a constant danger. On 23 August, Sixth Army crossed the Don and Army Group B established a defensive line on one of its bends. Sixth Army reached the northern suburbs of Stalingrad later that day, beginning the Battle of Stalingrad. The Hungarian, Italian and Romanian armies were 60 km (37 mi) from Stalingrad, which was in range of forward air bases. Luftflotte 4 attacked the city, turning much of it to rubble. 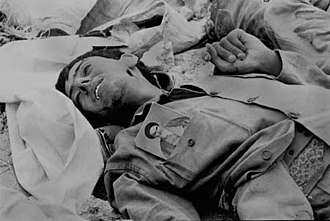 The Soviets reported that civilian casualties from 23–26 August were 955 dead and 1,181 wounded (a preliminary total; later reports of casualties in the tens of thousands were probably exaggerations). Sixth Army advanced from the north via Kalach and Fourth Panzer Army came up from the south through Kotelnikovo. In the first few days, the XIV Panzer Corps opened a corridor between the main body of Sixth Army and the northern Stalingrad suburbs at the Volga. In the south, Soviet resistance repulsed the Fourth Panzer Army. On 29 August another attempt was made with Hoth turning his forces west directly through the center of 64th Army. The attack was unexpectedly successful and Fourth Panzer Army got behind 62nd and 64th Armies with the chance to encircle and cut off 62nd Army. Von Weichs ordered Sixth Army to complete the encirclement; a Soviet counter-attack held up the advance for three days and the Soviets escaped and retreated towards Stalingrad. The rapid German advance caused a slump in morale among the Soviet troops, who retreated in chaos, abandoning the outer defences of the city. After defeating the last Soviet counter-attacks, Sixth Army resumed its offensive on 2 September, linking up with Fourth Panzer Army the following day. On 12 September, the Germans entered Stalingrad. The advance into Stalingrad against the 62nd Army was carried out by Sixth Army, while Fourth Panzer Army secured the southern flank. The city was a 24 km (15 mi) ribbon along the west bank of the Volga, which forced the Germans to conduct a frontal assault, and the ruins of the city gave the defenders an advantage. 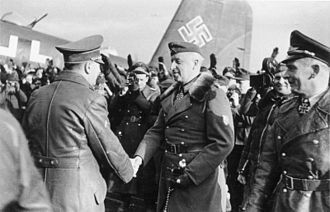 To counter Luftwaffe air superiority, the commander of the 62nd Army, General Vasily Chuikov, ordered his troops to "hug" the Germans, negating German tactical mobility. The Luftwaffe suppressed Soviet artillery on the east bank of the Volga and caused many casualties during Soviet attempts to reinforce the defenders on the west bank. From mid-September until early November the Germans made three big attacks on the city and ground forward in mutually-costly fighting. By mid-November, the Soviets were penned into four shallow bridgeheads, with the front line only 180 m (200 yd) from the river. Anticipating victory, substantial numbers of Luftwaffe aircraft were withdrawn to the Mediterranean in early November to support the Axis operations in Tunisia. Sixth Army had captured about 90 percent of the city. 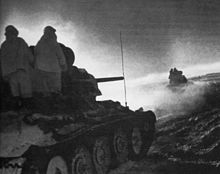 On 19 November, the Soviets launched Operation Uranus, a two-pronged counter-offensive against the flanks of Sixth Army. With the battle for the city and the exhaustion of Fourth Panzer Army, the flanks were mainly guarded by Romanian, Hungarian and Italian soldiers. Third Romanian Army, on the Don River west of Stalingrad, and Fourth Romanian Army, south-east of Stalingrad, had been under constant Soviet attack since September. Third Romanian Army had been transferred from Caucasus on 10 September to take over Italian positions on the Don, opposite the Soviet bridgeheads. The Romanians were understrength and had only around six modern anti-tank guns per division. The bulk of the German tank reserve, the 48th Panzer Corps, consisted of about 180 tanks, half being obsolete Panzer 35(t)s. The two Romanian armies were routed and Sixth Army with parts of Fourth Panzer Army were encircled in Stalingrad. Hitler ordered Sixth Army to remain on the defensive, rather than try to break out. It was intended the army would be supplied by air, but the quantity of supplies necessary was far beyond the ability of the Luftwaffe to carry. Sixth Army's strength diminished and the Soviets gained the upper hand inside the city. 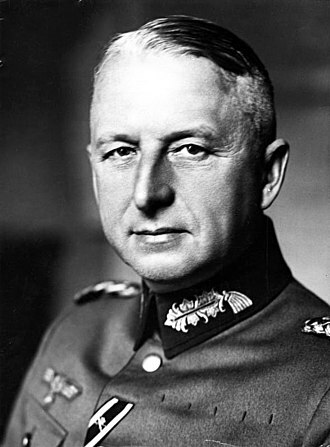 To stabilise the situation on the Eastern Front, Army Group Don (Heeresgruppe Don) under Field Marshal Erich von Manstein was created to fill the gap between Army Groups A and B. On 12 December, a relief operation called Operation Winter Storm was launched from the South by fresh reinforcements of the 4th Panzer Army. The offensive surprised the Soviets and the Germans were able to penetrate the Soviet line for 50 km (31 mi) towards Stalingrad. Despite these gains, the Sixth Army was not allowed to attempt to break out and link up, so this led to nothing. The failure was followed by a siege that lasted for almost three months, during which Sixth Army was destroyed. Following the success of Operation Uranus, the Red Army began Operation Saturn to cut off Army Group A and all troops east of Rostov. During the German relief operation at Stalingrad, Soviet forces had been redeployed, lesser objectives substituted, and the operation renamed "Little Saturn". 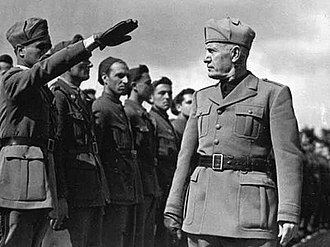 The attack fell on Eighth Italian Army and the remnants of Third Romanian Army, and led to the destruction of most of Eighth Army. On the verge of collapse, Army Groups B and Don were able to prevent a Soviet breakthrough but Army Group A was ordered to withdraw from the Caucasus on 28 December. The Soviets launched several follow-up offensives, later called the Voronezh-Kharkov Strategic Offensive. The Ostrogozhsk–Rossosh Offensive began on 12 January and destroyed large parts of the Second Hungarian Army and the remnants of Eighth Italian Army at the Don south-east of Voronezh. With the southern flank in danger, Second German Army was forced to withdraw from Voronezh and the Don. The operations continued until January and led Stavka to believe that they could deal a fatal blow to the Germans and decide the war in southern Russia. Operation Star, conducted by the Voronezh Front, was aimed at Kharkov, Kursk and Belgorod. Operation Gallop was conducted by the South-western Front against Voroshilovgrad, Donetsk and then towards the Sea of Azov, to cut off the German forces east of Donetsk. The operations began simultaneously at the end of January. The Soviets broke through quickly and in the north, Kursk fell on 8 February and Kharkov on 16 February after a German withdrawal, while in the south the Germans were pushed back to a line west of Voroshilovgrad. Army Groups Don, B and parts of Army Group A [g] were renamed Army Group South, commanded by Manstein, on 12 February. 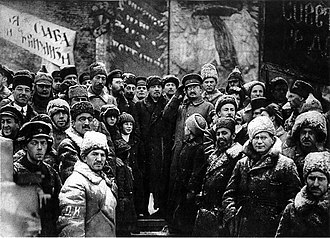 The Kharkov and Donbas operations were started on 25 February by the new Central Front led by Rokossovsky, with the forces freed after the surrender of the Germans in Stalingrad on 2 February. The operations were aimed at Army Group Centre in the north and timed to coincide with the expected successes of the Soviet operations in the south. Army Group South escaped encirclement and prepared a counter-offensive, which led to the Third Battle of Kharkov and the stabilisation of the front. The disaster at Stalingrad was the end of Case Blue and the territorial gains had been reversed by the end of 1943, except for the Kuban bridgehead on the Taman peninsula, retained for a possible second offensive to the Caucasus, which was held until 9 October 1943.
c The Third Romanian Army was later assigned to Army Group B and was one of the two Romanian armies heavily engaged in Operation Uranus. d After the successful completion of the battle for the Kerch Peninsula, 11th Army was split and only parts of it were assigned to Army Group A.
e The Seventeenth Army of Army Group A stayed in the Kuban bridgehead. ^ Holt (2009), p. 47. ^ a b c d Liedtke 2016, p. 228. ^ a b Antill (2007), pp. 24–25. ^ a b Hayward (2001), p. 129. ^ a b c Liedtke 2016, p. 230. ^ a b Antill (2007), p. 29. ^ Bergström 2007, pp. 49–50. ^ a b c d Mercatante 2012, p. 151. ^ a b c d e Antill (2007), p. 40. ^ a b c Nipe (2000), p. 33. ^ a b Antill (2007), pp. 87–88. ^ Antill (2007), pp. 7–12. ^ Glantz (1995), pp. 108–110. ^ Wegner (1990), p. 761. ^ a b Hayward (2001), p. 2. ^ Axworthy (1995), p. 19. ^ Hayward (2001), pp. xvii, 2–5, 18. ^ Bellamy 2007, p. 497. ^ a b Glantz (1995), pp. 111–113. ^ a b Antill (2007), pp. 31–32. ^ Glantz (1995), p. 110. ^ Hayward (2001), p. 131. ^ Wegner (1990), pp. 868–869. ^ Bellamy (2007), p. 498. ^ Glantz (1995), p. 301. ^ Antill (2007), p. 34. ^ a b Antill (2007), p. 37. ^ a b c d e Antill (2007), p. 49. ^ Beevor (1999), p. 75. ^ Hayward (2001), p. 135. ^ Bergström 2007, pp. 60, list of Red Air Force order of battle indicates these units were mainly in combat during Blau, pp. 49–50. ^ Glantz (2009), pp. 149–53. ^ Hayward (2001), p. 142. ^ Hayward (2001), p. 143. ^ Hayward (2001), pp. 147, 149. ^ Glantz (1995), p. 119. ^ Liddell Hart 1948, pp. 204–205. ^ Bergström 2007, p. 67. ^ Antill (2007), p. 41. ^ a b Hayward (2001), p. 156. ^ Hayward (2001), p. 152. ^ a b Glantz (1995), p. 121. ^ a b Antill (2007), p. 39. ^ Liddell Hart 1948, pp. 201–203. ^ Hayward (2001), p. 147. ^ a b Liddell Hart 1948, p. 202. ^ Javrishvili, K. (2017). 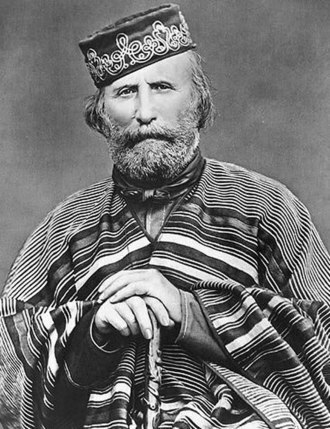 Battle of Caucasus: Case for Georgian Alpinists. ^ Glantz (1995), p. 120. ^ a b c Glantz (1995), p. 122. ^ Antill (2007), pp. 13–14. ^ Schramm (1963), p. 583. ^ Schramm (1963), p. 639. ^ German Federal Archives. ""Die Brandenburger" Kommandotruppe und Frontverband" (in German). German Federal Archives. Retrieved 13 May 2011. ^ Hayward (2001), p. 167. ^ Wegner (1990), p. 942-953. ^ Hayward (2001), p. 169. ^ Hayward (2001), p. 170. ^ Schramm (1963), p. 667. ^ Schramm (1963), pp. 639, 671. ^ Hayward (2001), p. 171. ^ Schramm (1963), p. 65. and Hayward (2001), p. 174. ^ a b Pusca, Dragos; Nitu, Victor. "WorldWar2.ro — Romanian Armed Forces in the Second World War — The 3rd Army in the Caucasus – 1942". Retrieved 1 May 2011. ^ Schramm (1963), pp. 719–723. ^ Hayward (2001), p. 172. ^ Hayward (2001), p. 179. ^ Bergström 2007, p. 84. ^ Hayward (2001), pp. 179–180. ^ Hayward 1995, pp. 94–135. ^ Antill (2007), pp. 44–45. ^ a b Bergström 2007, p. 62. ^ Beevor (1999), p. 106. ^ Bergström 2007, p. 73. ^ Antill (2007), pp. 45–51. ^ Beevor (1999), pp. 115–118. ^ Antill (2007), p. 55. ^ Antill (2007), pp. 51–67. ^ Glantz (1995), pp. 122–123, 149. ^ Axworthy (1995), pp. 85–89. ^ Antill (2007), pp. 73–75. ^ Glantz (1995), p. 134. ^ Nipe (2000), p. 15. ^ Glantz (1995), pp. 140–141. ^ Antill (2007), p. 78. ^ Nipe (2000), pp. 18–21. ^ Schramm (1963), p. 1318. ^ a b Nipe (2000), pp. 54–64, 100. ^ Vego, Milan N. Naval Strategy and Operations in Narrow Seas (MPG Books Ltd, London, 2003), p. 278. ^ Glantz (1995), p. 141. ^ Glantz (1995), p. 132. ^ Antill (2007), p. 43. Bergström, Christer (2007). Stalingrad – The Air Battle: November 1942 – February 1943. London: Chevron/Ian Allan. ISBN 978-1-85780-276-4. Javrishvili K., Battle of Caucasus: Case for Georgian Alpinists, Translated by Michael P. Willis, 2017. Mercatante, Steven (2012). Why Germany Nearly Won: A New History of the Second World War in Europe. Praeger. ISBN 978-1910777756. Nipe, George M. Jr. (2000). Last Victory in Russia: The SS-Panzerkorps and Manstein's Kharkov Counteroffensive—February–March 1943. Atglen, PA: Schiffer Publishing. ISBN 0-7643-1186-7. Wegner, Bernd (1990). "Der Krieg gegen die Sowjetunion 1942/1943 [The war against the Soviet Union 1942/43]". In Boog, Horst; Rahn, Werner; Stumpf, Reinhard; Wegner, Bernd. Der globale Krieg: Die Ausweitung zum Weltkrieg und der Wechsel zur Initiative 1941 bis 1943 [The Global War: The expansion of the war into a world war and the change of initiative]. Germany and the Second World War (in German). VI. Militärgeschichtliches Forschungsamt. Deutsche Verlags-Anstalt. pp. 761–1094. ISBN 3-421-06233-1. Siegmund Wilhelm Walther List was a German field marshal in the Wehrmacht of Nazi Germany during World War II. In 1939, List commanded the German 14th Army in the invasion of Poland, from 1939–1941, he commanded the German 12th Army in France and Greece. In 1941, he was Commander-in-Chief South-East, in July 1942, he was Commander-in-Chief of Army Group A on the Eastern Front in the Soviet Union. Following the war, List was charged with war crimes and crimes against humanity and he was convicted and sentenced to life imprisonment. List was released early, and died in 1971, List was born in Oberkirchberg in 1880 and entered the Bavarian Army in 1898, in 1913 he joined the general staff and served as a staff officer in World War I. After the war, List stayed in the Reichswehr, by 1932, he was promoted to Generalleutnant. 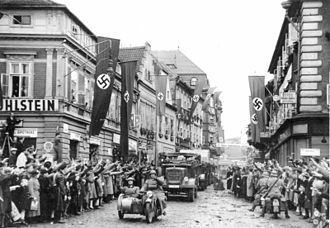 In 1938, after the Anschluss of Austria, List was responsible for integrating the Austrian Armed Forces into the Wehrmacht, in 1939, List commanded the German 14th Army in the invasion of Poland. He didn’t fulfill this mission, although he met advance elements of the German XIX Panzer Corps under General Heinz Guderian a short distance south of Brest-Litovsk, on 17 September 1939. During the huge German offensive against France and the Low Countries May to June 1940, the 14th army remained in Poland, in May 1940 List commanded the 12th German army during the fall of France. 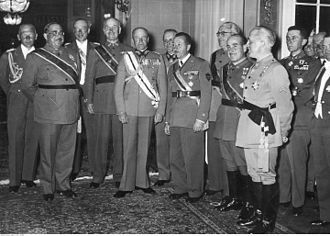 The 12th army was a unit of the German Army Group A, after this successful campaign List was among the twelve generals that Hitler promoted to Field Marshal during the 1940 Field Marshal Ceremony. In early 1941, German troops were being steadily massed on the Eastern Front of the Third Reich, in preparation for Operation Barbarossa, the German invasion of the Soviet Union. List was delegated to negotiate with the Bulgarian General Staff, on the night of 28/29 February 1941, German troops—including List, who now commanded the 12th Army—took up positions in Bulgaria, which the next day joined the Tripartite Pact. The invasion of Greece, and of Yugoslavia, started on 6 April 1941, list’s 12th Army consisted of four armored divisions and 11 motorized infantry divisions, and totally overmatched the defending forces.